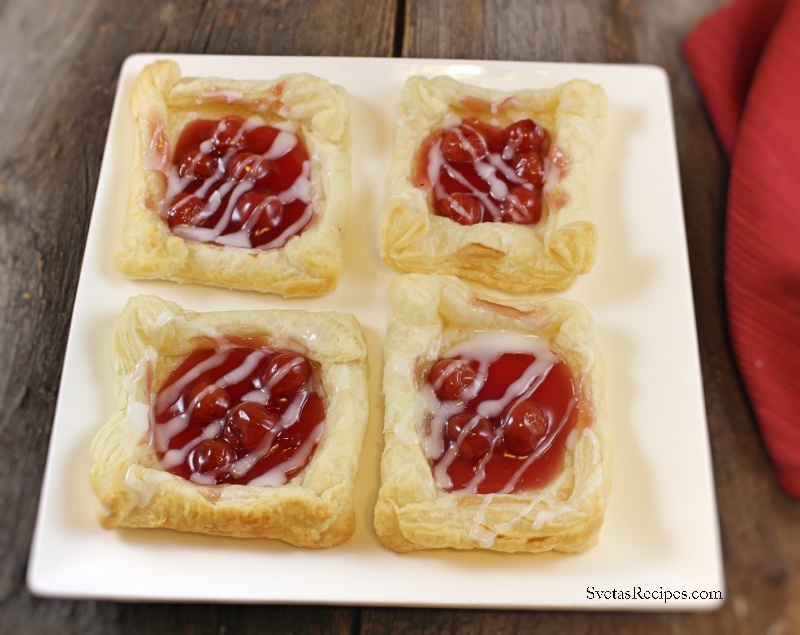 Cherry Squares are very interesting and taste great, they go along really well with tea. I really recommend it for kids they enjoy it and have a lot of fun. 1.) Cut your puff pastry dough into 6 squares. Fold the corners. Using a special tool make a texture on the edges. 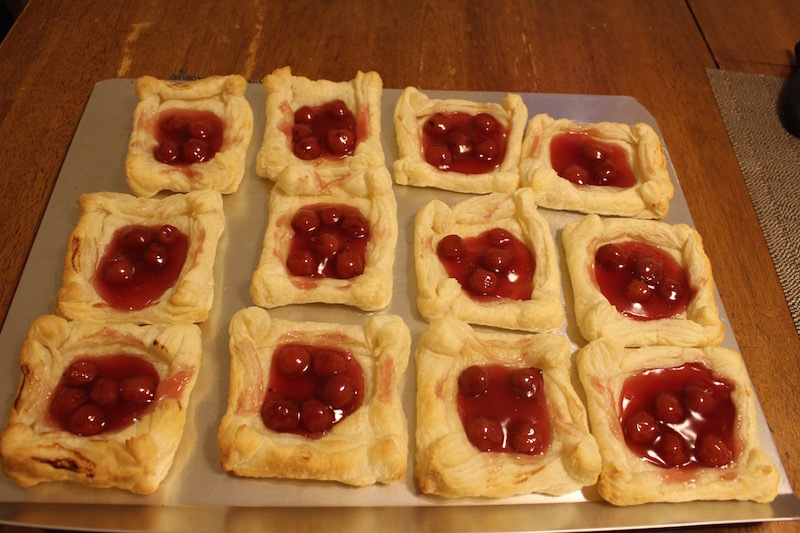 Place 4 or 5 cherries in the middle of each square. In a small bowl mix together milk and powdered sugar for glaze. Bake for 20 minutes on 400 degrees F. 2.) After lit it cool, place your glaze in ziplock bag with a hole in the bottom. Apply glaze to each square. 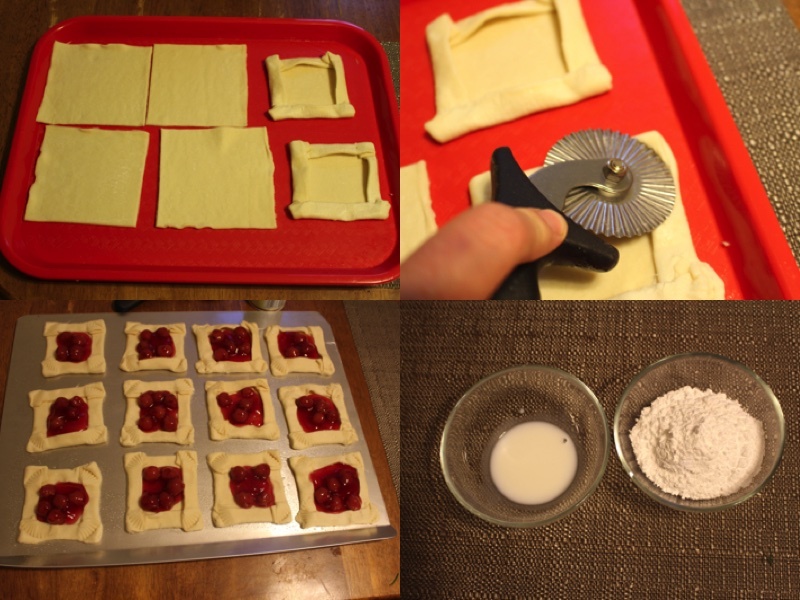 Cut your puff pastry dough into 6 squares. Fold the corners. Using a special tool make a texture on the edges. Place 4 or 5 cherries in the middle of each square. In a small bowl mix together milk and powdered sugar for glaze. Bake for 20 minutes on 400 degrees F.
After lit it cool, place your glaze in ziplock bag with a hole in the bottom. 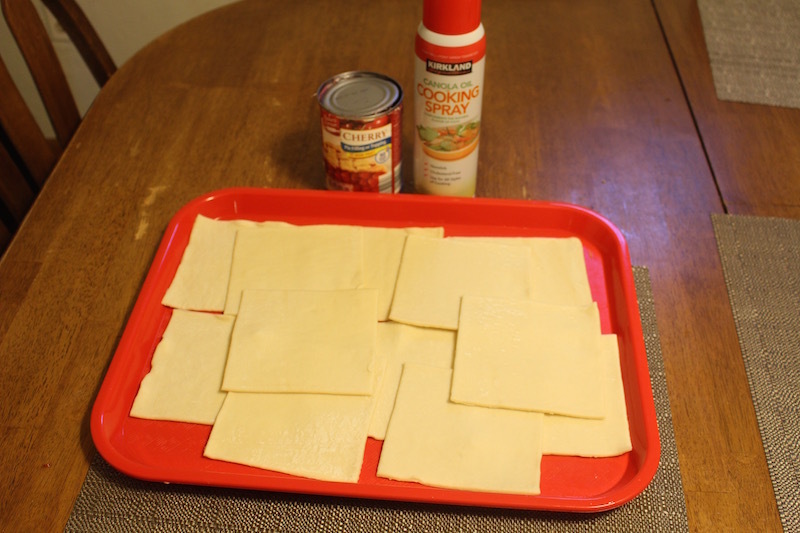 Apply glaze to each square. they are very easy to make but super good.